Making healthcare affordable to every citizen has been a priority for the government of India. The government of Chhattisgarh has also initiated various schemes to achieve this objective. One major step taken by the Chhattisgarh government in this regard is the Mukhyamantri Swasthya Bima Yojana or MSBY. The MSBY was launched in the year 2013 and it targets to bring all the families under the health insurance cover and it has been a very popular scheme in the state. Jashpur district tops all the districts in implementation of the scheme with 99.33% of the total households in the district being covered under the scheme. Around 2 lakh 13 thousand families have been covered under this scheme so far. All the members of a family can avail health insurance facilities with a smart card. Guni Toppo’s family is among the beneficiaries of the scheme. When they first got the smart card they had no idea they knew about the benefits but did not realise it would be so helpful until Guni had to undergo an operation. “I had to undergo an operation in 2016. I had got the operation done at a private hospital in Kunkuri but I did not have to spend a single rupee. The smart card had taken care of everything. Without the smart card it would have been very hard for my family to bear the cost of the operation. We would have to sell our land and our livestock. But thankfully the smart card was there and we were saved. All the expenses for my operation were covered by the insurance.” He says. Guni Toppo’s father is a farmer and Guni is learning tailoring work. His three sisters are studying and his mother is a housewife. The family income is limited and any unforeseen expense, especially medical emergencies, is a major cause of concern for the family. Guni is grateful to the efforts of the government to make healthcare affordable for everyone. He says that the smart card has been very beneficial for his family. Whenever someone in the family falls sick they do not have to spend any money for his or her treatment. “We get everything for free and can get treatment even in private hospitals. This is very important for us. We feel secure now.” Says Guni. 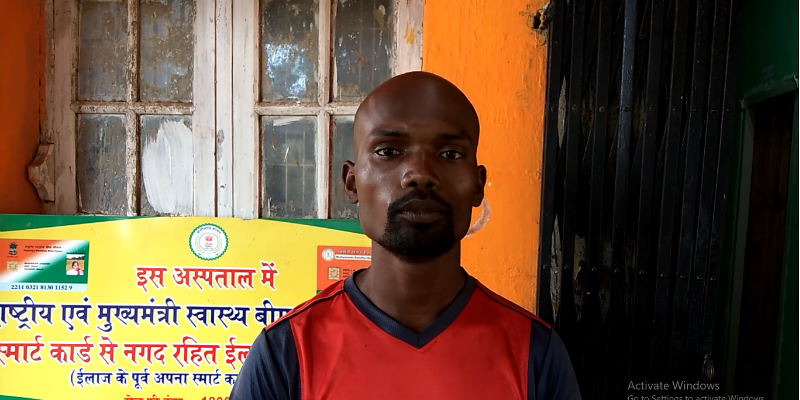 Guni’s family is an example how the smart card or the MSBY has changed the lives of lakhs of people in Jashpur and entire Chhattisgarh. The Jashpur district administration has also been successful in bringing the entire PVTG (Particularly Vulnerable Tribal Groups) population in the district under health insurance. The herculean task of creating awareness among the people who are not aware of the benefits of the scheme has been successfully accomplished and 99.33 percent of the total families in the district are under the MSBY coverage. Those who did not register themselves for the scheme are now getting interested by seeing others benefiting from it. More and more families are now joining the MSBY and the administration hopes to achieve the target of 100% coverage soon.